Porsche revitalized its Top 5 series last week by going through the five most expensive models ever sold, with the 917 K at $14 million claiming top spot. For this week, the folks from Zuffenhausen have decided to show on video the five fastest cars they’ve ever built for the streets. Some will be surprised to see the Porsche 911 GT1 Straßenversion, essentially a road-legal race car, didn’t even make the cut despite hitting 191.4 mph (308 kph) back in the day. 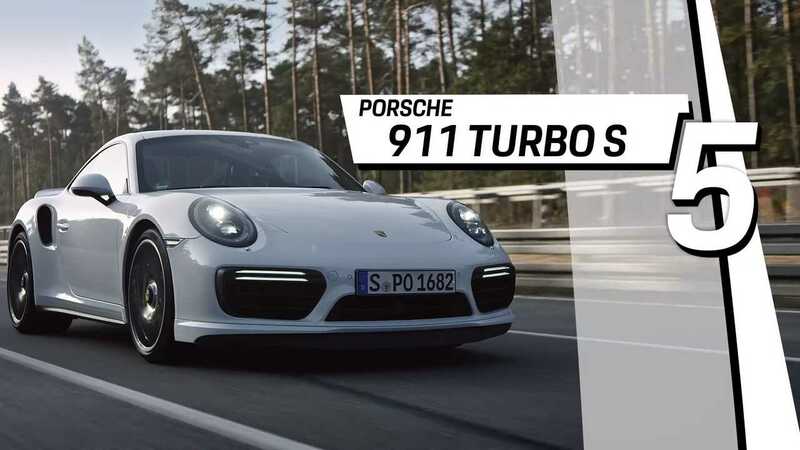 That’s because the slowest of the bunch is the 911 Turbo S with a top speed of 205 mph (330 kph) like the fancy Turbo S Exclusive Series of which 500 coupes were made, with 200 cabriolets earmarked for the United States. Spy shots have shown Porsche is working on a 992-gen Turbo S and we won’t be too surprised if it will be even faster and more powerful. At number four we find our all-time favorite Porsche, the mighty Carrera GT. The V10-powered supercar was launched about 15 years ago and it’s still one of the fastest road-legal models ever built by Porsche. It tops out at 208 mph (334 kph) and sounds lovely all the way up to its maximum velocity thanks to a naturally aspirated 5.7-liter engine adapted from the aborted 2000 9R3 Le Mans racer. The legendary 959 is back from the 1980s to remind us all what a beast of a supercar it was and how impressive it still is even by today’s standards. Porsche is featuring the ultra-rare S version of which only 29 were ever built – each with a different engine output. In 1988 at the Nardo Ring in Italy, Auto Motor and Sport took the 959 S all the way up to 211 mph (339 kph). Fast forward to present day, the 911 GT2 RS takes the silver medal by being able to top out at 211 mph (340 kph). The 700-hp machine is the fastest and most powerful 911 Porsche has ever built with road-legal status, and with the right upgrades from Manthey-Racing, it’s also the fastest street car to lap the Nürburgring. The mighty 918 Spyder needs no introduction. Porsche’s most recent flagship and a former ‘Ring king, the electrified hypercar has a vmax of 214 mph (345 kph). How will the company be able to top that? By coming out with a car able to lap the Nordschleife in only 6 minutes and 30 seconds. Next week’s Top 5 episode from Porsche will disclose some juicy secrets from the R&D department.